In response to the rising tide of school shootings and subsequent debates over the role and responsibilities architects face in designing schools, the American Institute of Architects (AIA) has codified their stance and has launched a bipartisan initiative to help schools secure architectural services. In a statement released earlier today, Where We Stand: School Design & Student Safety, the AIA broke down how it will advocate for schools to improve their design policies and how it will help schools secure funding to do so; notably absent were any specific design prescriptions. 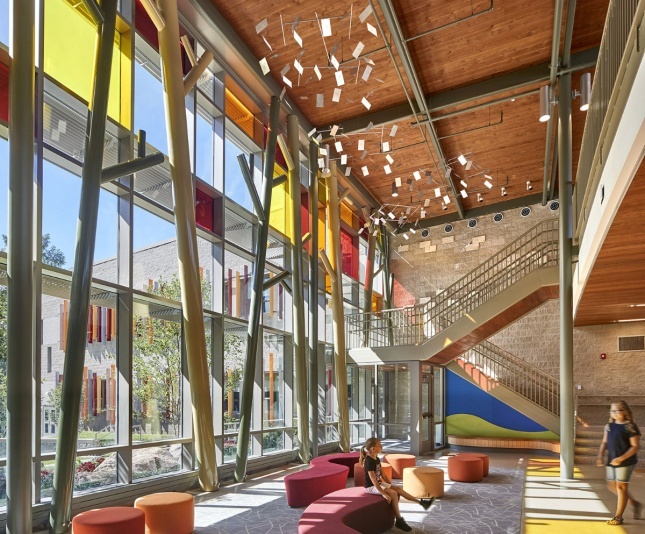 To meet those goals, the AIA will be taking a two-pronged approach: lobbying for schools to be able to use federal funding and grants on architectural and design services, and creating a federal repository of best practices for designers to draw on. The AIA already maintains a list of academic design resources and hosts the Committee on Architecture for Education, but wants to create what they describe as a “federal clearinghouse” to serve as a national resource. The AIA is also touting its participation in the two-day 2018 National School Security Roundtable sponsored by the Department of Homeland Security on August 1, in which members fielded suggestions from the community on how to design schools that were safe but still open. Of course, all of this is to say that, as the Institute has itself acknowledged, design is only a piece of the equation and won’t solve the problem in the long run. The AIA says that it wants to create scalable design guidelines based on local feedback from the community and local chapters. As the renewed Sandy Hook School from Svigals + Partners demonstrated, it is possible to balance those concerns in a practical manner, and is a welcome alternative to proposals calling for the “hardening” of schools– such as calls to use federal funding to harden buildings into windowless bunkers.